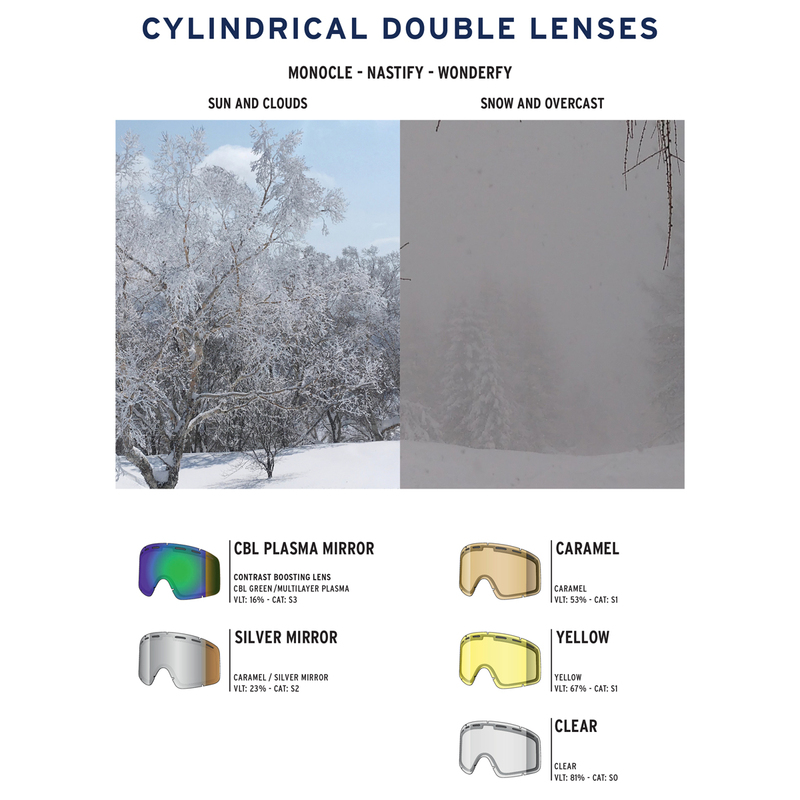 Wonderfy Double Lens Cbl Plasma Mirror - Spare Lenses - SHRED. Cylindrical double lens. Different lens tints and mirror colors are available to provide the best performance in different weather and light conditions, all with 100% UVA-UVB-UVC protection. Its Super Anti-Fog treatment provides extremely long-lasting clarity. Its CONTRAST BOOSTING LENS™ (CBL) and NODISTORTION™ technologies (available in select models) enhance contrast and image definition.